Electric Daisy Carnival returns to the Milton Keynes National Bowl for its fourth year on Saturday 9 July, with four stages hosting some of the world’s biggest artists across the dance music spectrum. EDC is a festival for all the senses, with focus on production and entertainment all day and night - including the brand new Crystal Village stage which makes its debut this summer. 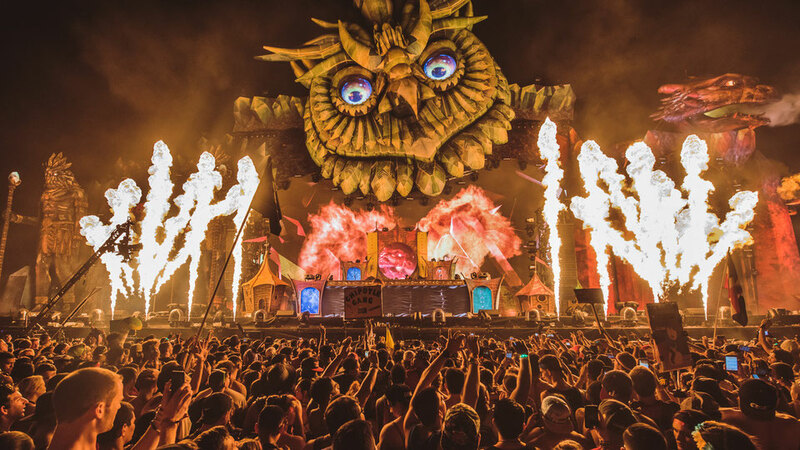 Standing 30 metres tall by 70 metres wide, it houses cascading waterfalls, a fog-breathing dragon, over 400 video tiles, 28 lasers, flames of all colours, 15 co2 cannons, whilst EDC’s giant signature owls preside over the action. Headliners include alphabetically: Andy C, Avicii, Axwell Λ Ingrosso, Caspa B2B Rusko, Dimitri Vegas & Like Mike, DJ EZ, Duke Dumont (DJ set), Eric Prydz, Ferry Corsten presents Gouryella, Friction, Goldie MBE, Marcus Schulz, Martin Garrix, Martin Solveig, Paul van Dyk, Pendulum (DJ set), Roni Size and Krust present Full Cycle, Sigma (DJ set) and many more. For one day EDC brings together artists in a venue transformed into a wonderland of music, with apparently tens of thousands of people from across the UK converging as one. Featuring Insomniac’s art installations, carnival rides, costumed performers and much more, this aims to be one of the dance music events of the summer. Check http://uk.electricdaisycarnival.com for more info.